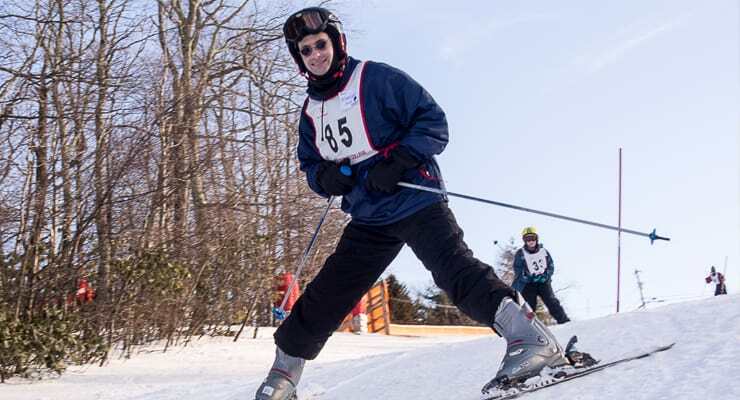 The Winter Games feature competition in Alpine Skiing and Snowboarding at Appalachian Ski Mountain between Blowing Rock and Boone, NC. Athletes receive instruction from professional ski and snowboard instructors, then compete against their peers in downhill ski and snowboard courses. In order to secure housing and/or access to the Monday night banquet, family members must register with French Swiss. That form will be posted once available. Contact Laurie Karr at 828-295-9311 for more details. Athletes will be placed into events based on assessment from the ski/snowboard instructors, and will receive training on Sunday based on these assessments. Athletes competing in alpine skiing will be assigned one of five levels: black (advanced terrain), blue (intermediate terrain), green (novice terrain), and yellow (beginner/slight slope). 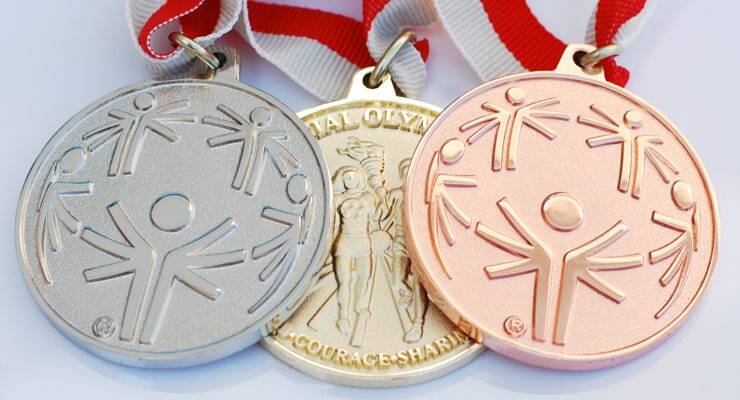 These levels may be further divided based on the ability of the athlete. Athletes will then compete in time trials on Monday morning, and the time from that time trial will be used to place athletes into divisions (competitive divisions based on ability, age, and gender). After lunch on Monday, athletes will return to the snow for competition, and be awarded on their place of finish as each division finishes. Spectator viewing areas are available on the large porch attached to the lodge, and on the 3rd floor in the Snow Cloud Room. Please note that during lunch time, the Snow Cloud room is used to serve lunch to the volunteers, redivision, and for delegations to gather for lunch. You may be asked to make room for these folks during the busy time. Awards will be presented in the dining room annex, located on the same floor as the cafeteria. Spectators are welcome and encouraged! Opening Ceremony will be held on the mountain at 1:30pm on Sunday, January 6. Photos from this event in years past.